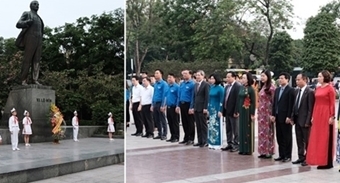 PSNews - Senior Lieutenant General Bui Van Nam, Deputy Minister of Public Security on January 31 led a delegation of the Ministry of Public Security to check task performances of the Ninh Binh Provincial Police. At the Ninh Binh Provincial Police Department's Headquarters, Senior Colonel Dinh Hoang Dung, Director of the Ninh Binh Provincial Police Department briefed the delegation on results of the unit's task performance in recent time. Deputy Minister Bui Van Nam and leaders of the Ninh Binh Provincial Police Department. Over the past time, the provincial police force has well advised local authorities at all levels on security, social order and safety, and closely cooperated with relevant agencies and forces in implementing the missions of ensuring of national security, social order and safety. Last year, the Ninh Binh Provincial Police Department well implemented the Ministry of Public Security's scheme on streamlining the apparatus of the Public Security Forces and reorganizing the forces for more efficiency and effectiveness. The unit also focused on regularizing the communal police force and gained various positive results. 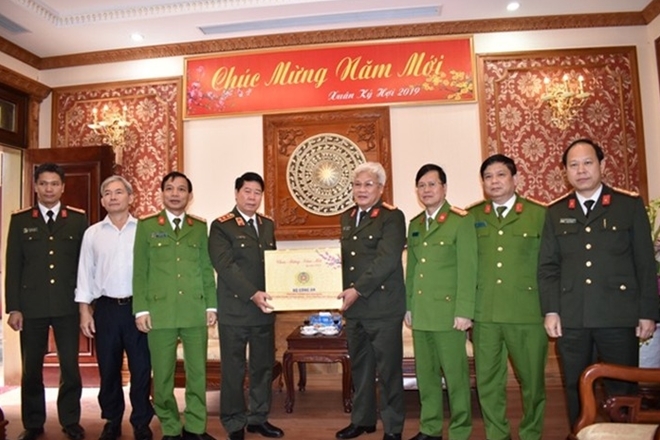 For its great achievements, the Ninh Binh Provincial Police Department has received awards fromthe State, the Government and the Ministry of Public Security. On behalf of the Public Security Central Party Committee and leaders of the Ministry of Public Security, Deputy Minister Bui Van Nam spoke highly of the Ninh Binh Provincial Police’s achievements in 2018. Regarding 2019’s central missions, Deputy Minister Bui Van Nam urged the Ninh Binh Provincial Police to step up its State management of security and order affairs while bringing into full play the strength of the whole political system in protecting national security, maintaining social order and boosting administrative reforms. Deputy Minister Bui Van Nam also asked the Ninh Binh Provincial Police to focus on Party building and force building, and also effectively implement emulation campaigns and movements. The Deputy Minister of Public Security required the Ninh Binh Provincial Police to resolutely attack crimes and ensure order during the upcoming Lunar New Year Festival.